Manny Pacquiao is once again hard at work, enduring all kinds of pain as he prepares for his upcoming bout against the undefeated Timothy Bradley. 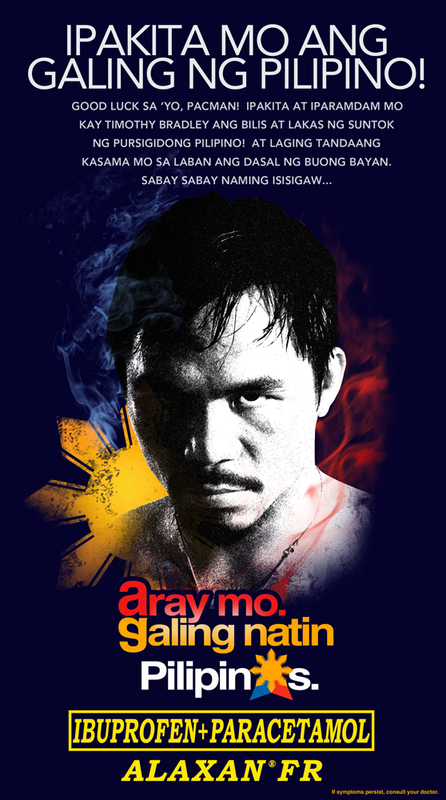 With the support of Alaxan FR and the entire Philippines, Pacman is set to defend his title and once again bring honor to the country. This promo will run from May 23, 2012 to June 5, 2012. 2. Send the photo to pacquiaobradley@gmail.com. State your name, contact number, and for tracking purposes, also state my blog’s name (The Intersections & Beyond: http://vintersections.com). 3. Like the Alaxan FR Official Facebook Fan Page. 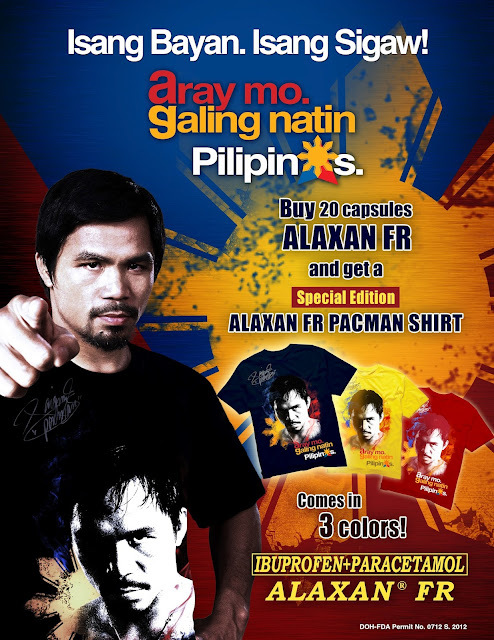 Alaxan FR will be giving away 100 special edition Pacman shirts to the first users who send in their photo greetings. Winners of the promo will be announced on June 6, 2012. Join now!